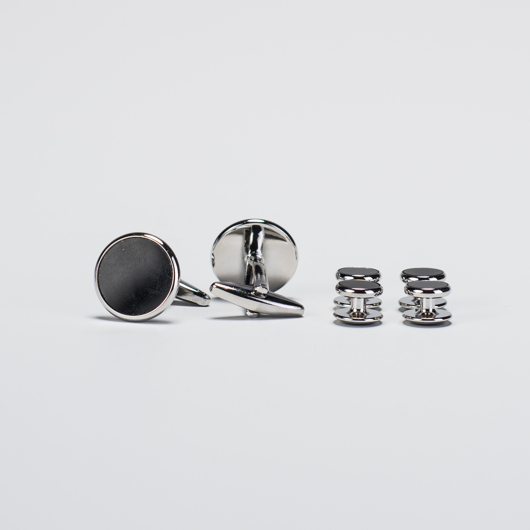 Classic oval shape silver cufflinks with white enamel decoration. Made of high quality silver coloured brass. Presented in an elegant gift box.